Martyrdom of imam Ja'far al-Sadiq is an important religious and public holiday in Iran. It is celebrated on the twenty-fifth day of the month of Shawwal. Al-Sadiq is the last person to be recognized as an imam by all Shiite sects. Shia Islam is the state religion of the Islamic Republic of Iran. Many religious events important to Shia Muslims are celebrated here as public holidays, and martyrdom of imam Ja'far al-Sadiq is one of them. 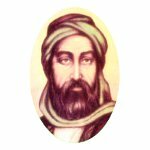 Ja'far ibn Muhammad al-Sadiq, commonly known as simply al-Sadiq (the Truthful), was the sixth Shite imam, i.e. rightful spiritual and political successor to Prophet Muhammad. He inherited the position of imam from his father Muhammad al-Baquir. As imam, al-Sadiq tended to stay out of the political conflicts and did not support any rebels. He experienced some harassment by the Abbasid caliphs. Shia Muslims consider al-Sadiq an important figure in the formulation of Shiite Doctrine. He is remembered as the founder of Ja'ari school of thought. Ja'far al-Sadiq died in 765 (148 AH). He was poisoned by the Abbasid caliph al-Mansur, who sent him poisoned fruit. Imam al-Sadiq was buried in Medina next to his grandfather Zayn al-Abidin and father Muhammad al-Baquir.